Now that we're finished launching Frankenstein (don't worry, he'll be back for Halloween) it's time to launch the Hazardous Tales books! 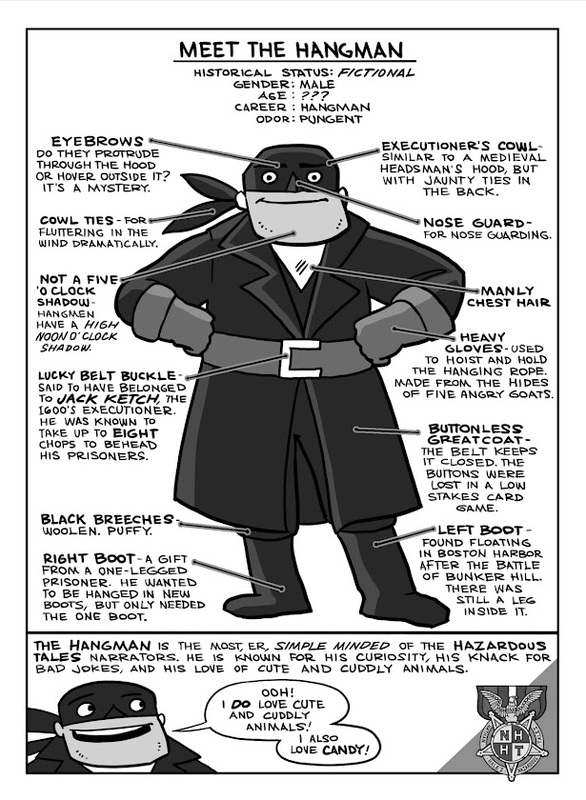 The books in the Nathan Hale's Hazardous Tales series are narrated by three characters; the spy Nathan Hale, a British Provost, and this guy--the Hangman. Time to meet him.